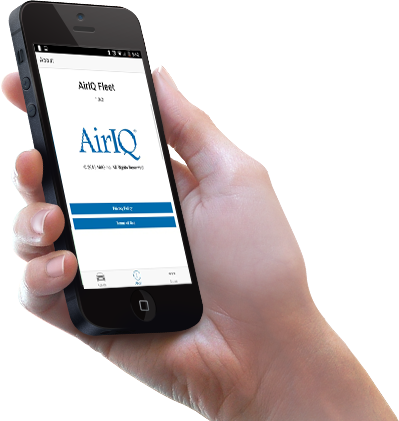 AirIQ is a Canadian public company and trades on the TSX Venture Exchange under the stock symbol “IQ” . You may access AirIQ’s Investor Presentation here. View the Press Release Archive for more Press Releases from AirIQ. AirIQ’s annual reports provide an overview of the Company’s performance and strategic direction. Current reports are available for download below. Having a service tracking report on our equipment allows our technicians to understand the current status of all aspects of the equipment and quickly reference details of prior repairs, which makes for increased efficiency and subsequent reduction in downtime for the equipment. Since implementing AirIQ's Plug and Track™ device in our fleet, we have gone an entire year without losing a vehicle. In 2011 we lost a total of six vehicles and wrote off more than $100 thousand dollars in damages. However, now that we have installed AirIQ's device in approximately 500 of our vehicles, we are able to easily manage and monitor our fleet and quickly identify any issues or problems with a rental. We can then take immediate action and avoid costly losses or damage to our assets.